​Good reference never goes out of style. 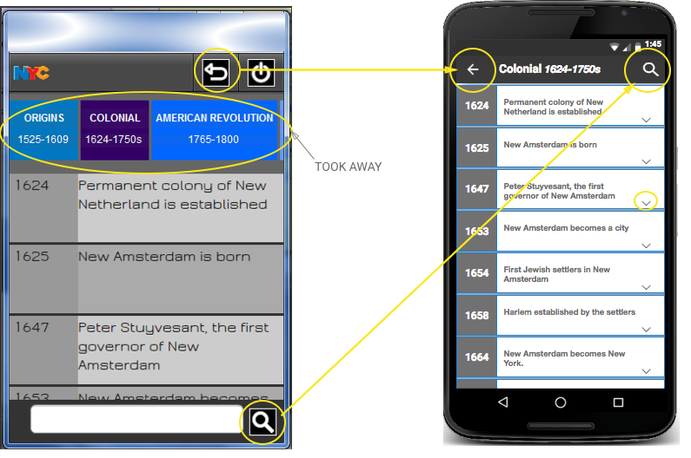 NYC tour guides, students, and millions of visiting tourists can benefit from easy access to specific information. We are flooded with ton of information from all over the Internet. 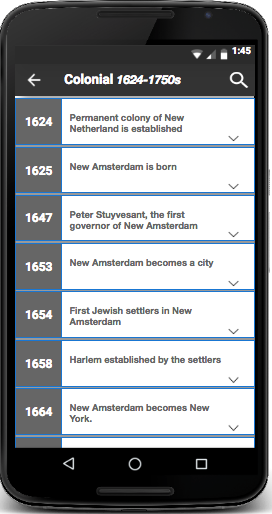 It's quite difficult to find well organized and relevant information on the history of NYC which user - a tour guide, a tourist, a student - can check on the go. It's also problematic if one is not on-line - often the case with millions of tourists. 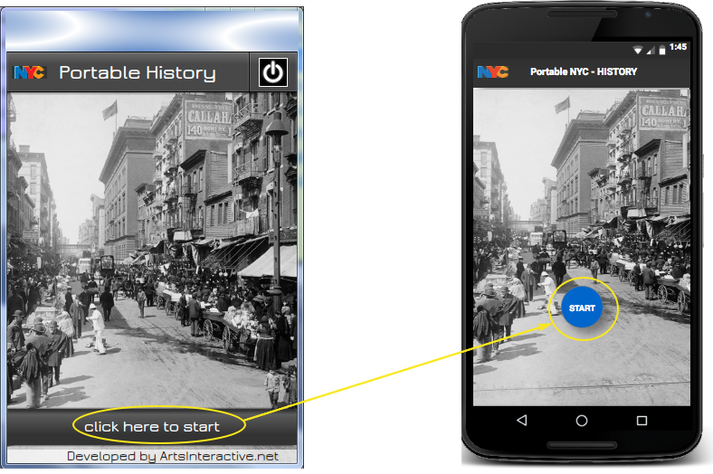 ​I designed a mobile app with events in NYC history organized by historical periods, The main task was to collect and distill most relevant information and provide the easiest possible, most intuitive interface which would work equally well with Android and Apple devices. ​When I became NYC tour guide I needed to brush through volumes of information carefully distilling reliable sources and compiling my own data. It became very useful to keep all the data with me to be able to look it up when in doubt or just as a refresher. Mobile app seemed an ideal solution since the phone is always with you and the format allows for compact data organization. "As professional tour guide, I want to be able to have access to historical information at any time and quickly so that I can refresh my memory, check events and study for tours. As a tourist visiting NYC, I want to be able to learn about its history while out touring the city so that I can be better informed ." It needs to be simple. If you heed to explain, it's not a good reference app. Interface needs to be very clear. It should not be overloaded with buttons and options. The font should not be fancy. It's good to have a 'headline' view before the detailed one. Lets you see the big picture. Needs to be searchable, it's paramount that the user can look things up at any point in the app. 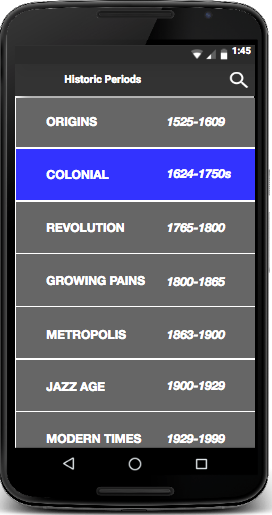 I designed the interface with the main screen serving as main menu of historic periods. The user could initiate search from anywhere and come back from it. I used Fiverr.com service for user testing. The app was being tested on variety of devices without any face contact with me. The testers were able to complete the tasks. I worked from the list of pain points and bugs they provided to iterate on design until I got a clean report from the testers. After all the issuers were addressed, I released the app to googlePlay and appStore. 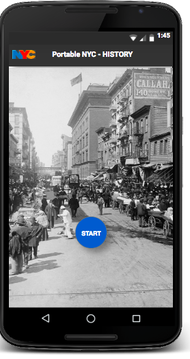 "Easy n great The best app to know about the New York city NYC. Its really a great app"
"♥FANTASTIC♥ Very useful App for scholars." After I released the app I realized that even though it was intuitive and easy to use, it lacked in compliance with Google's Material Design and iOS Human interface Guidelines. I went back to the drawing board to address these design issues and re-worked my screens. 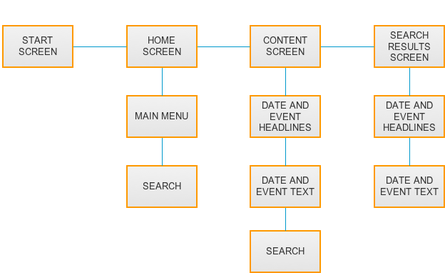 As the result of this iteration, the screens became much tighter, leaner and much more in-line with mobile users' expectations. This project went from satisfying my own need to figuring out how to make it work for others. My main take-away from working on this project is that it's not simple to be simple. To achieve simplicity for the user takes a lot of thought and many iterations. However, ones you design a solid reference product, it could be used and re-used as prototype for other similar products skinning it with various visual ideas. 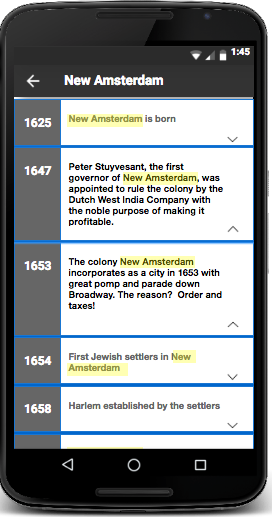 See below how I used it to build another reference app: Portable NYC Facts. MVP for this project is a bare bone text based reference. However, the next steps for this project would include illustrations which make the content much less dry and much more engaging. This app works off-line by design, but in the future it could have an option of Internet connectivity to enable sharing content via email or social media. It could also be expanded to include a calendar with "this day in NYC history".